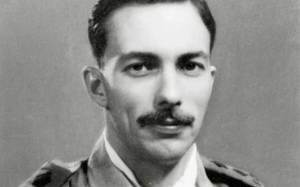 Lt-Col Pat Spooner, who has died aged 94, played a leading role in the rescue of three escaped prisoners of war, all high-ranking officers, from enemy-occupied Italy. In September 1943 Spooner, an officer serving with 8th Gurkha Rifles, was in PG 19 POW camp near Bologna. When the Italian Armistice was declared that month, the guards left the camp but the Germans took over at once. For two days and nights Spooner and several other officers, including Jimmie Ferguson, a captain in the Royal Corps of Signals, hid in a loft to escape being transferred to Germany with the rest of the prisoners. Spooner joined forces with Ferguson, and for the next three months they were on the run, hiding in woods, derelict barns and the cells of convents and monasteries. In October Ferguson and the leader of a local partisan group, Rogero Cagnazzo, got away in a fishing boat and reached the Allied lines at Térmoli. Ferguson was released but was told that, as an escaped POW, he had to be returned to England to be debriefed. He protested that he and Cagnazzo must be allowed to go back behind the German lines. Their plan was to rejoin Spooner and lead the partisans in sabotage operations against German military targets west of Pésaro. When two British officers turned him down, he insisted on speaking to their superior. The brigadier rejected the sabotage plan but accepted that Ferguson had given his word to Spooner that he would come back. He therefore gave permission for the two men to return, but only on condition that they helped to rescue three very senior officers. Lieutenant-General (later Sir) Philip Neame, VC, and Lieutenant-General Sir Richard O’Connor had been captured in Libya in the spring of 1941. Air Vice-Marshal Owen Boyd had been taken prisoner in Sicily the year before. The three men had escaped from an officers’ camp near Florence and, at the end of October, were hiding in the monastery at La Verne in Tuscany. After Spooner, Ferguson, Cagnazzo and these officers had joined forces, many attempts were made to rendezvous with a submarine off the coast. These involved hours spent in a rowing boat in heavy seas, often dodging enemy patrol boats or huddled on the beach in bitterly cold, drizzling rain, flashing pre-arranged signals with a torch and receiving no reply. They learned later that, on each occasion, the submarine had been diverted at the last moment having been given fresh orders. Eventually, in mid-December, they escaped by fishing boat from the small port of Cattolica. Cooped up in the dark, stuffy hold — Neame likened it to the Black Hole of Calcutta — they held their breath as they waited for the German guard at the pierhead to let the vessel leave the harbour. After a stormy passage, they reached Térmoli on December 20. At the end of the month, Spooner returned to a wartime London: sandbagged doorways, barrage balloons overhead and anti-aircraft guns in Hyde Park. Alexander Patrick Spooner (always known as Pat) was born on September 17 1920 in Simla, India, where his father was Chaplain General to the Forces. He was educated at Denstone College, Staffordshire, before gaining a Kitchener scholarship to Sandhurst. He was commissioned into the 8th Gurkha Rifles and posted to 2nd Battalion at Shillong, India. After active service in Iraq, Syria and Iran, in June 1942 he was appointed Intelligence Officer to 20th Indian Infantry Brigade in the Western Desert. Tobruk was under siege by Rommel’s forces, and the Brigade was deployed in a highly precarious position at Sidi Rezegh, 25 miles south of the town. One night, after being ordered without warning to withdraw to the coast road, he was ambushed by German forward troops and taken prisoner. He spent 15 months in a POW camp, first at Chieti, near Pescara, and then in Camp PG 19 . In the latter, he had the job of drawing maps on silk handkerchiefs for would-be escapers. In April 1944 his leave in England ended and he returned to India, where he met Ferguson again. The two men joined “E” Group, part of MI9, and drove a Jeep to the Arakan, Burma, where they established a base in a hut on the north side of the River Naf, immediately opposite Japanese forces. In early 1945 Spooner was given the task of laying up supply dumps consisting of food, water and other survival stores on uninhabited islands for the use of the crews of Allied bombers and fighters that had been hit by Japanese anti-aircraft fire and were unable to get back to India. After the Japanese surrender he was posted to the Dutch East Indies with orders to head a team investigating atrocities committed by the Japanese and Koreans in Eastern Java. In March 1946 he moved to Burma with his War Crime Investigation team. Based at Maymyo, north-east of Mandalay, his team was assigned to the central and eastern areas. A total of more than 600 officers, other ranks and civilians made up the War Crimes Investigation organisation; but the problems in securing convictions were legion, and the results did not come close to matching the resources employed. Spooner completed his Army career as Assistant Adjutant General, HQ Singapore, in charge of war crimes investigations in south-east Asia. He was appointed MBE (Military) in 1944 and retired in 1948 in the rank of lieutenant-colonel. In 1956 he became Midwest manager of the British Travel Association (now the British Tourist Authority) based in Chicago. He moved to New York in 1960 on becoming general manager of the British-American Chamber of Commerce. One of his initiatives in organising a “British week” was to import a typical pub with English barmaids, a London “bobby” and a double-decker bus. He returned to England in 1970 and helped to raise substantial sums for the cathedrals of St Paul’s, Canterbury and Salisbury, as well as for several leading London hospitals and the Royal Opera House. In 2012 he published an autobiography, A Talent for Adventure. Pat Spooner married, in 1951, Frances Dunlop, who survives him with their son and daughter. Obituary courtesy of The Telegraph.